The other day I talked a bit about identifying the distractions in your life holding you back from being truly productive. One scenario many people might fail to recognize is the environment in which they are attempting to work. Sit back and take a good long look around you. Is it clean and tidy, with all of your resources and notes easily accessible to you? Or is your workspace cluttered and chaotic? In either situation, how does your environment make you feel? It is easy to allow clutter to accumulate, especially if you are extremely busy. Taking the time to clean your desk or put away your supplies may seem like a monumental subtraction of time from your actual work. However, spending fifteen or twenty minutes a week organizing your space will result in an exponential increase in productivity. So what are the first steps you should take to organize your environment? If there are boxes of papers stacked you have not looked at in years, it’s time to go through them and eliminate what is unnecessary. If you do not have time for this archival process, secure a small climate controlled storage unit and store the materials offsite for later consideration. Designate areas of your office or workspace for particular phases of your current project. Create “zones” which will contain individual tasks such as a research corner, preparation table, computer workstation, etc. Keep only what is necessary for your project on your desk and relocate any extraneous items to either a shelf, bookcase or other room so that they are out of the distraction line. 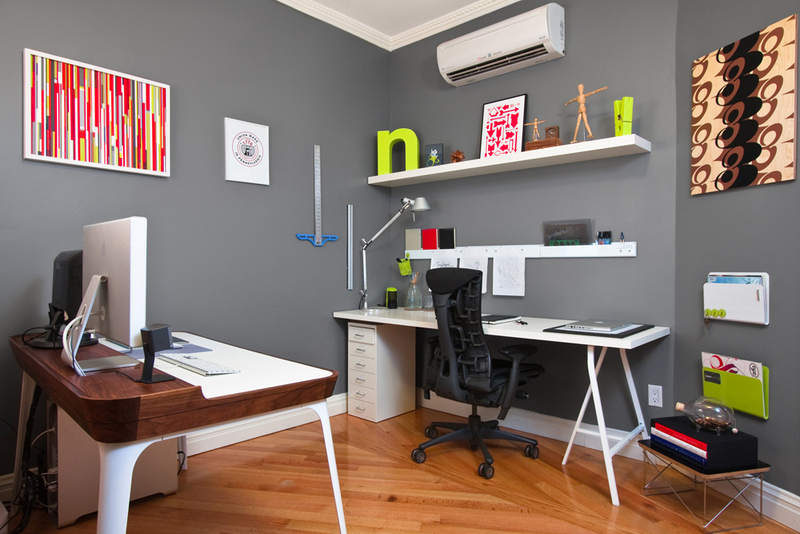 Do you have any other tips for creating a more organized workspace? Leave your feedback in the comments below for our readers. It is easy to allow your workspace to become cluttered and distracting. Here are four easy steps for organizing your office and promoting productivity. I have a bookcase next to my desk with storage boxes, each labeled with a different function such as receipts, unopened mail, etc. I think the most important thing is to keep it minimal. The more stuff you try to cram in an area the worse your productivity will be. I got rolls of cork and covered the wall next to my desk in it to make one big cork board. It has done wonders for me with visual organization. Being that I am not inclined naturally to be highly organized I hired a professional organizer at first to help me because it was so overwhelming at first. It made it super easy going forward. Invest in a good paper shredder and use it. That way you don’t end up with mounds of papers to go through every week. If you don’t have a good shelving system already in place definitely make the investment in order to get things off of your desk and organized.